Run your business on the go, anywhere, anyplace, anytime. Knowledge is the key. 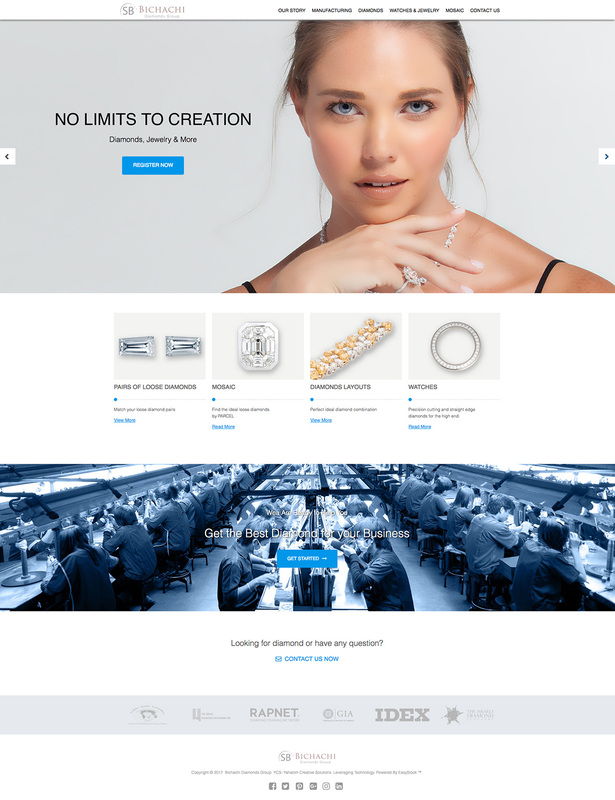 EasyStock works with companies in the diamond and jewelry industries to successfully brand and place themselves at the center of the action to ensure they are being seen. We provide turnkey solutions for clients in all the major markets where diamonds and jewelry are manufactured and traded. Our international outlook allows to take on projects anywhere in the global market. At EasyStock, we know technology is critical – but only if clients feel comfortable with it and use it to its maximum capability. We provide a platform that you will be relaxed using. EasyStock provides comprehensive solutions because we know the industry's needs and where the market is heading. Our aim: total service; what does that mean for you? Peace of mind. We want you to feel at ease with our solutions. We provide flexible, tailor-made products that enable you to feel comfortable as you start out and build on new features when you are ready. EasyStock does not sit still. We know that technology and companies are always on the move. That's why we invest continuously in developing our capabilities to allow you to run your business even more efficiently. 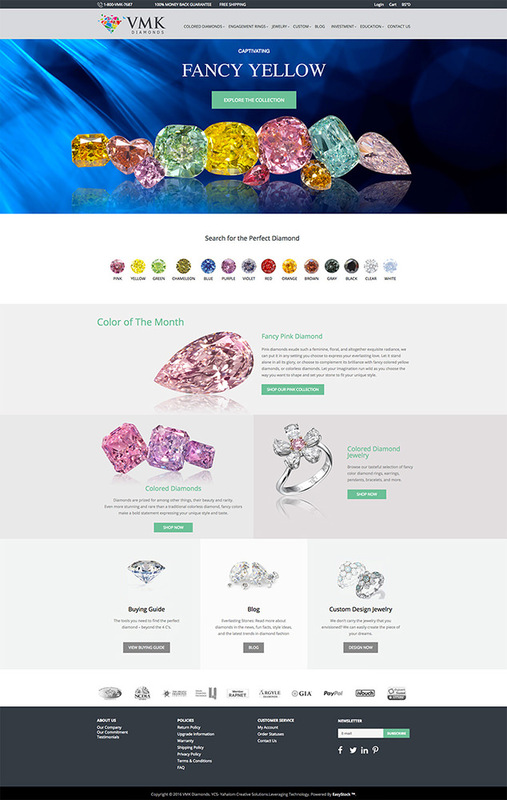 EasyStock™-powered E-Commerce websites are tailor-made for the diamond and jewelry industry. 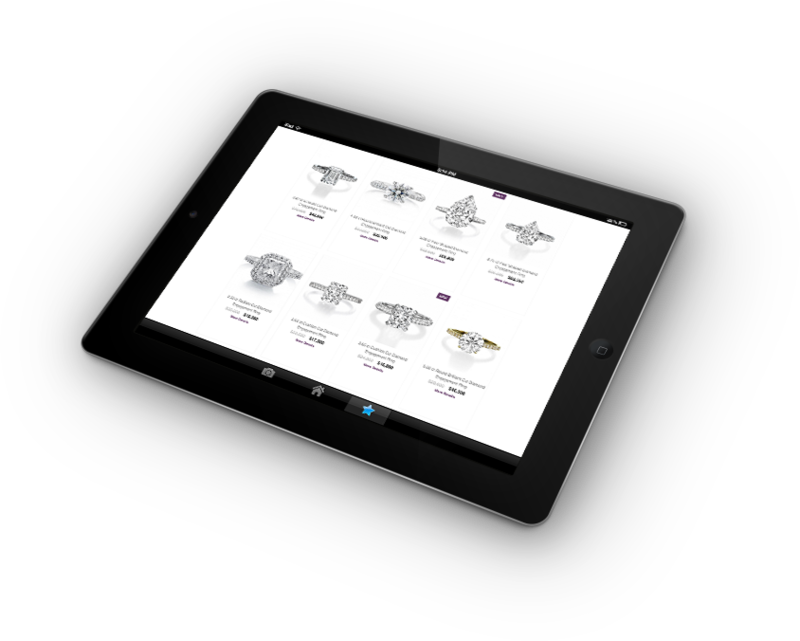 we have created advanced features such as a lightning-fast diamond search engine, a build-your-own-engagement ring feature and dynamic pricing to get your business ahead of the race. Our complete solutions help you to build, operate and maintain your E-Commerce website - allowing you to focus on your core business. Our modular E-Commerce solutions are fully customizable B2B and B2C platforms giving you a virtual office for your diamond and jewelry sales. Upload products to your store, accept orders, and manage website content. There are different device formats - smartphones, tablets and new inventions come along all the time. All of them need a mobile version of your website. All screen resolutions must be compatible, too. This where responsive web design comes in to play because it allows design and development to respond to the user’s behavior and environment based on screen size, platform and orientation. As a user moves from a laptop to iPad, the website automatically switches to accommodate for resolution, image size and scripting. We build your website with the technology to automatically respond to your potential client's preferences, making life smooth and easy. Call +972-3-7522 322 for a free, no-obligation consultation! EasyStock™ delivers the latest in commerce technology to keep you ahead of innovation, not lagging behind. You need to compete in today’s technology-driven business world, and that means getting the most out of the technology you use. Technology that boosts your productivity is vital. Link to people and places around the world, and use technology to give you a competitive edge and build a strong presence in today’s business world. Let the technology do the hard work behind the scenes, leaving you free to concentrate on what you need to do. The following are some web development projects we have worked on recently. Our portfolio includes B2B and B2C websites. View our portfolio of recent website projects powered by the EasyStock ™ system. Each is custom designed to fit the precise needs of our clients.